Fun With Figurative Language Task Cards! It’s getting on in the year. I begin testing this week (first time on the computer), so I’m a bit nervous. Having taught for more than 20 years, I know how draining testing can be on both students and teachers. In planning for class after our testing time, I know I have to keep it lively and interesting. For this reason, I love using task cards. I like to use a seasonal theme. 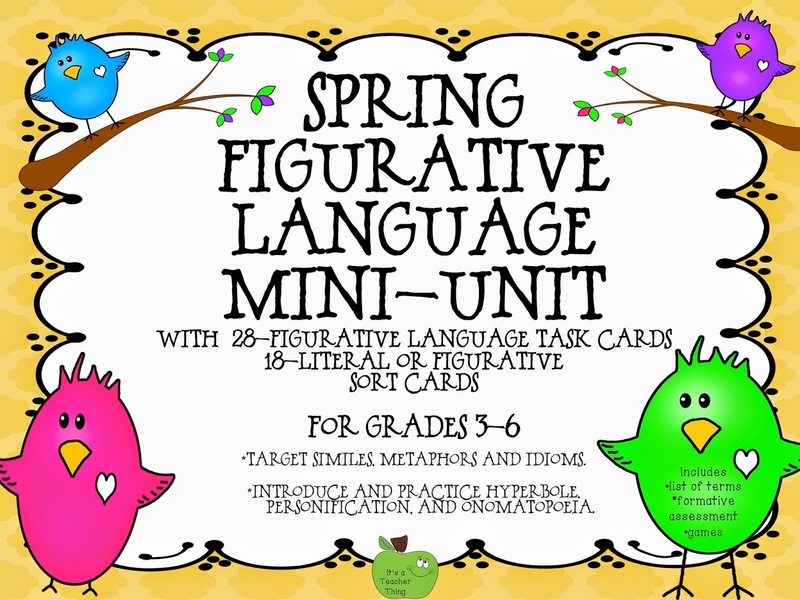 Below, you see my Spring Figurative Language Task Cards. My favorite way to implement task cards in my classroom is to tape them up around the classroom. I have kids pair up, grab clipboards or a book, get their pencils, and go to it. Generally, it takes between 20 and 30 minutes for partners to complete all of the 28-task cards. Some of my favorite cards deal with figurative language. Since it's towards the end of the year, my students have already been exposed to the different types of figurative language. Below, you see a page of four cards from my Spring Figurative Language Task Card set. All the examples of figurative language deal with spring. 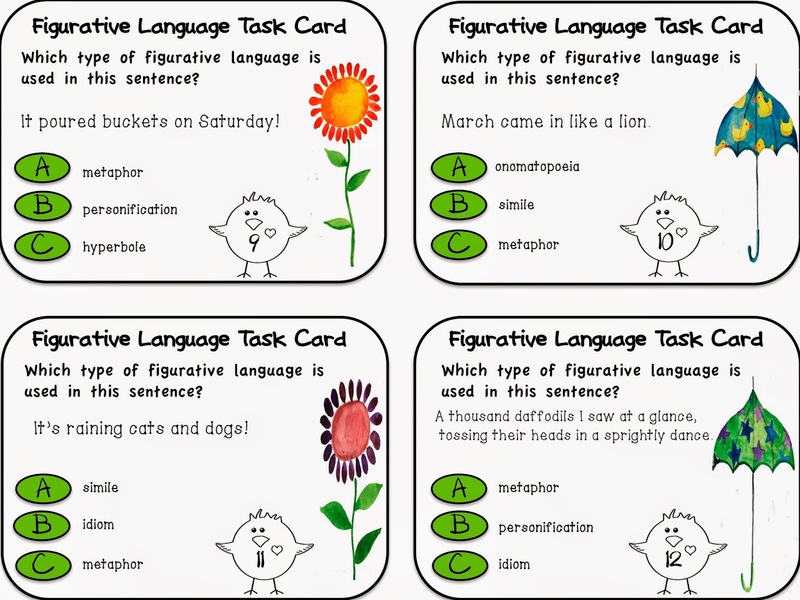 This set includes a sort card mini-unit to use to remind students of the difference between figurative and literal language. 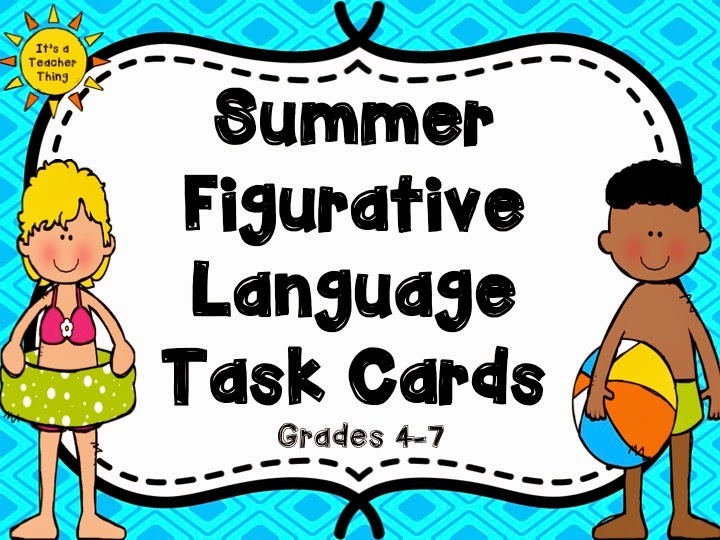 My Summer Figurative Language Task Cards feature 28-figurative language cards focused on summer. Not all students will remember each type of figurative language, but they will certainly know the names. Task cards work well because the choice of answers is limited, so chances of success are higher. Additionally, students have the option of taking their Figurative Language Terminology page around with them, so they can check the definitions. For your convenience, each set of cards includes an interactive assessment page. An Interactive Assessment Page is found in each task card unit. Kids are out of their seats, focused on a task that’s not frustrating, and working together! After testing, this is exactly what we need! 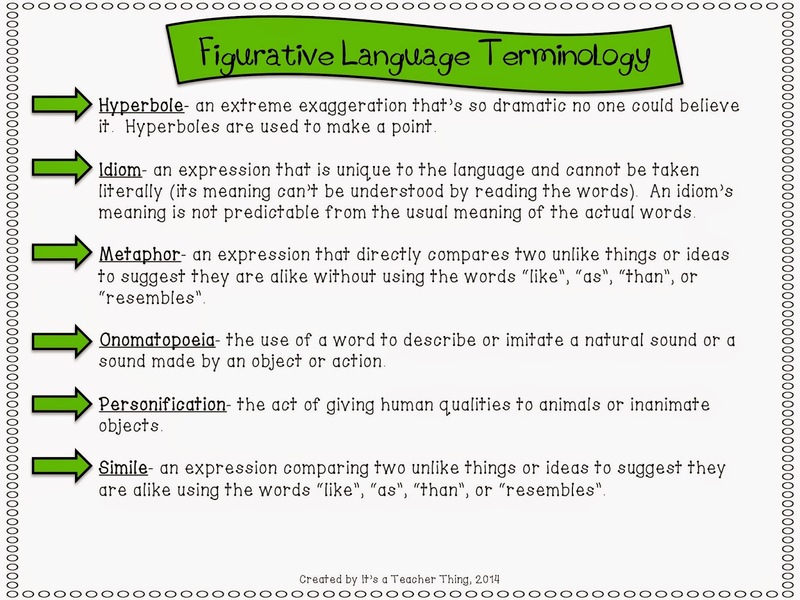 I might follow up the activity by showing a few clips of figurative language videos easily found online. So, if you’re looking for fun, directed activities, task cards are the answer!